The answer is that, ultimately, long-term rentals do bring in more money. However, the reason to choose short-term over long-term is if you want to have the apartment available for your own use when you visit, not for the income. If income is the goal, choose a stable, long-term tenant. Short-term rentals also provide a very nice income, even though the expenses are much more. Even if you use the apartment for yourself 40% of the year, you can end up making almost the same as renting long term. On the other hand, you don’t have a steady monthly income with short-term rentals. However, sometimes with an exclusive apartment, where the price per night is very high, you might have a better income from renting short term. The best way to work out which way is best is to judge the reason you bought the apartment in the first place. People who buy apartments in Yerushalayim to have a steady monthly income will find it more worthwhile to rent out long term. A person who visits often and wants the apartment for his own use will find it more worthwhile to rent the apartment out short term. For some reason, there are many kollel yungeleit who have decided that moonlighting as a property manager bein hasedarim is a good way to supplement their kollel lifestyle. This arrangement may work for some owners, and they may be happy with it — good for them. But it’s important to understand that this person is managing your property to the best of his ability — not necessarily on a professional basis. He may call in service people as needed, but he doesn’t have in-house staff and repairmen on call to take care of your apartment as necessary. Buying an apartment is one of the biggest investments you will make in your life. You want a professional company to handle your investment and take proper care of it. 2. Using a management company is like taking insurance. You pay several hundred dollars a year, hoping never to need it. When a situation arises that requires the use of that insurance, the small annual fees you paid easily pale to the costs you face. You might feel like you’re throwing out a lot of money when you pay for insurance. However, should you come to need the insurance, it will have been well worth all the years of paying. 3. In today’s credit crunch, you want to get the maximum return on your investment. I recently had a meeting with an investor who owns four apartments in Yerushalayim. One of the first things I told him when we started was that he was apparently unaware of market rates, which have gone up significantly — he was undercharging each tenant by a whopping $300 per month! 4. You want to make sure an eye is kept on the apartment. “When the cat is away, the mice will play, “after all. Some people can take advantage of an unmanaged short-term rental by simply staying extra days. When someone lives in an apartment for a few days, they sometimes feel like the apartment is theirs. I was recently asked to visit an apartment to evaluate its potential for joining the Shia Getter Group’s short-term rental program. Entering the apartment a week after Shavous, I found the air conditioner on full blast — as it had been for a week since the owner left. This is not surprising when there isn’t anyone to take responsibility for what is going on in the apartment when the owner is not there..
5. You want to make sure you get the rent from your tenant when it comes due. A professional management company monitors the rents and will call the tenant if the rent is not received within two or three days — maximum— of the due date, to ensure that it doesn’t get further delayed. As with many things in life, if you nip a problem in the bud you will be much better off than if you allow it to grow into a bigger problem. If you let the delay in rent go on, the tenant will have to come up with a larger payment, which he may find more difficult to put together. You do not want to be left with a big gap of several months’ rent. With short-term rental apartments it’s even more critical that you receive payment promptly — as soon as they come. Since the tenants are here for a short time and may be out all day, you could end up running after them for the rent. Also, by taking the rental fee up front, you avoid the tenant coming up with “reasons” to request reductions in the rent. This is something that we have, unfortunately, seen during our years of managing apartments. 6. You want repairs taken care of promptly. Tenants are much more willing to call the management company when there is a small problem, rather than “bothering the owner”(shudder!). While this means that ongoing maintenance can be somewhat higher at times, the apartment is kept in much better shape. Small issues are fixed before they turn into large issues that are more expensive to fix that may even require the tenant to vacate the apartment in order for the repairs to be done. 7. You want to keep a healthy distance from your tenants. When you manage your own apartment, you may naturally become a bit too friendly with the tenants — and that can cost you lots of money. You may feel uncomfortable to say no when a tenant calls and asks for a new couch or a second (or third!) air conditioner — even though the purchase will eat up the profit for the year. When a management company sits in the middle, tenants are much more understanding of the need to negotiate properly for these things and will not be upset when their wish for a total gut renovation is not granted willy-nilly. 8. You want to get the best price for your apartment. Every area has different prices and even within a given area, each apartment also has its own price. Price depends on location, view, layout, design, and accoutrements (what extras the apartment has). If you know the market, you know what you have to give the tenant, what is reasonable for him to expect. You also know what you may need to invest in in order to get the price you want. Sometimes we can tell a tenant that the price is reasonable for what he is getting and that others will pay the price if they don’t take it. Other times we will advise the owner that for the price he wants, he will have to invest in furniture or appliances. Some management companies also have a division of real estate sales (tivuch in Hebrew). This is advantageous because they have a fairly constant flow of potential tenants calling to inquire about apartments. 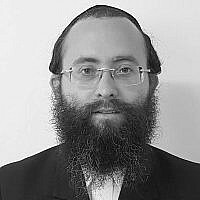 Shia Getter is the CEO of the Shia Getter Group, a full-range real estate services firm in Jerusalem catering to the Anglo-Charedi Community. He is a noted expert, columnist, and author of Everything You Need to Know about Buying Real Estate in Israel (Feldheim 2014). He and his professional team are Israel’s one and only true seller’s and buyer’s brokerage. They provide a unique service by managing and maintaining your apartment and being completely responsible for the entire buying or selling process. For more information and to schedule an appointment, call Sarah at 0208.150.6082 or email mail@thegettergroup.com. This article is intended to provide general information about the subject matter covered. It is not meant to provide legal opinions, offer advice, or serve as a substitute for advice by licensed, legal professionals. This article is published with the understanding that the author or publisher is not engaged in rendering legal or other professional services. The author does not warrant that the information is complete or accurate, and does not assume and hereby disclaims any liability to any person for any loss or damage caused by errors, inaccuracies or omissions, or usage of this article. Laws and interpretations of those laws change frequently and the subject matter of this article has important legal consequences. If not understood, legal, tax, or other counsel should be consulted. Shia Getter is known in Israeli real estate circles for “the man with common sense.” Having moved to Israel 12 years ago, Shia understands what rough experiences many people not used to the local ways of doing business can get entangled with. His company, the Getter Group, is Jerusalem’s #1 sales and brokerage services company, and trusted source of information, ensuring clients get the right investment, covering their bases and checking that they are getting full value and security for their hard earned money.